When will be Tiswas next episode air date? Is Tiswas renewed or cancelled? Where to countdown Tiswas air dates? 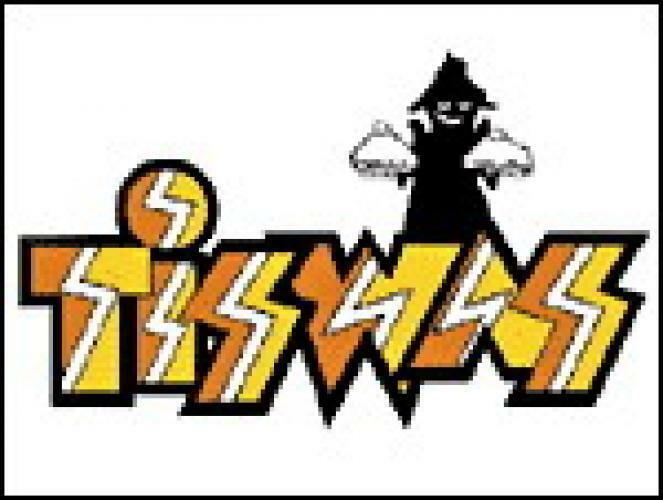 Is Tiswas worth watching? Tiswas ("Today Is Saturday Watch And Smile") was a Saturday morning children's British television series which ran from 5 January 1974 to 3 April 1982 and was produced for the ITV network by ATV Network Limited.It was created by ATV continuity announcer Peter Tomlinson following a test period in 1973 when he tried out a few competitions and daft stuff between the programmes.Most famously hosted by Chris Tarrant between 1974 and 1981, and later Sally James, it also featured the young Lenny Henry and occasionally Jim Davidson together with Bob Carolgees and his puppet, Spit the Dog. John Gorman, former member of 1960s cult band The Scaffold, was also a presenter. On the programme, Birmingham folk-singer and comedian Jasper Carrott was to introduce the nation to the "Dying Fly Dance" and also to many local hospital casualty wards as the dance at one point soared high in the RoSPA list of common causes of household injury. Like its cleaner BBC counterpart, Multi-Coloured Swap Shop, it had a running order but no script (with the exception of some specific sketches). The programme was broadcast from Studio 3 at ATV Centre in Birmingham; this was the weekday home for the company's regional news magazine, ATV Today.The show was a stitch-together of competitions, film clips and pop promos, just about held together by sketches and links from the cast. The show also regularly featured spoofs of BBC children's programming.A feature of Tiswas was 'The Cage' wherein initially the child audience, and later their parents, were confined and periodically doused in water (one spin-off of the series was the hit The Bucket of Water Song, performed by the Four Bucketeers), whilst the series was also frequently visited by the Phantom Flan Flinger, who would throw flans around the studio at all and sundry. Both Tarrant and the Flan Flinger would take great delight in trying to 'flan' cameramen who would go to great lengths to avoid being hit. Tiswas next episode air date provides TVMaze for you. EpisoDate.com is your TV show guide to Countdown Tiswas Episode Air Dates and to stay in touch with Tiswas next episode Air Date and your others favorite TV Shows. Add the shows you like to a "Watchlist" and let the site take it from there.